​Meet the smartest cat in town. 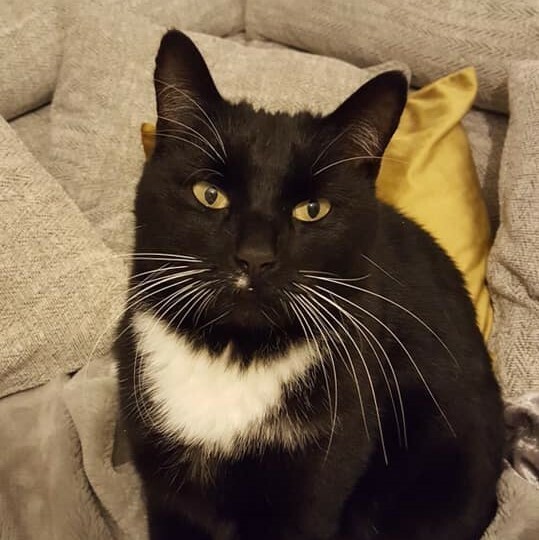 Sporting a dashing little tuxedo and with the longest set of whiskers Thomas is sure to catch anyone’s eye. He loves his scratching post and lounging on a window sill watching the world go by. Thomas has not made his mind up about how he feels about dogs and children but with slow introductions he could be fine. He would not mind if he lived with a feline companion or two.